Home / Blacksheep / Cookie / Facebook / Firesheep / Security / Session / Session Hijacking / Twitter / Blacksheep Tutorial | Detect Firesheep and Secure your public WiFi access. Blacksheep Tutorial | Detect Firesheep and Secure your public WiFi access. It is a firefox addon that detects firesheep in an open or public wifi network.The credit goes to Zscaler for bringing it out.It is made by using the source code of firesheep and taking into consideration the working of the same. As I explained in my post on firesheep that it traps the cookies of the user's session and uses the same to login to the listed websites.Here what the blacksheep does is that it has got the list of the same website in it so when it is the network it generates fake cookies of those sites listed in firesheep in every 5 minutes(you can change it)and if in case someone is using firesheep and traps the same fake cookie(of blacksheep) then blacksheep gives an alert with the IpAddress of the attacker system.It actually exploits the weakness of firesheep of not able to differentiate between fake cookies(of blacksheep) and the original(generated during user session). Note:Blacksheep wont protect session hijacking through firesheep rather will give an alert of its(firesheep) use in the network. 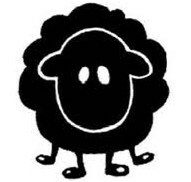 Warning: If "firesheep" is installed the same browser then disable it before using blacksheep.Because since firesheep also traps the cookie of the mother browser so the blacksheep may pop an alert with your own IpAddress. Step 1.Having set with all the requirements open up firefox. Step 2.Disable firesheep if you have installed it as shown below. Step 3.Follow the path Tools-->Add-ons in the top menu. Step 4.Search for blacksheep in the add-ons list and click on options and change to your desired interval as shown below. Here is the video from Zscaler on the working of blacksheep hope you will like it. well written .. Maybe I should try this on a weekend. Bookmarked.